When it comes to year-end lists, y'all know I don't mess around. I don't post my picks from the previous year for weeks after the next year has started. In 2013 there was a bounty of music that entered the world that made me deliriously happy to be blessed with the sense of sound. So I have pondered, marinated, and contemplated for weeks. Music from 2013 has been digested for breakfast, lunch, and dinner (and yes, even dessert). And now, friends, it's time. Time to share with you what I consider the cream of one heck of a crop indeed. You might see things omitted here that you think should be on a Best Of list. This list isn't what I think you want to read. This list is what I feel about last year. These are records and songs that really mattered to me for one reason of another. If it's not here, I either didn't spend enough time with it or just didn't love it quite enough. A big, big thank you to all of the artists who created the music on this list, the music that I fell in love with last year. WHY: I’ve got to tell y’all, when I think of really good psych rock I do not instantly think of Bar Harbor, Maine. But along came Coke Weed and there goes that notion. I don’t mind being proven wrong, especially when the music is this good. 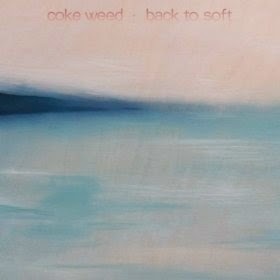 Full of hypnotic haze and idyllic hallucinations, Back To Soft is a mighty fine record. Like a (slightly) mellower Black Mountain, Coke Weed wins all over the place with some witchy, siren-like lady vocals (“I wait for you by the light of a supermoon”) and a heady sound perfect for switching on the black light and turning it up as loud as it’ll go.